Tiger Brands wants the government to establish a new food safety and hygiene standard, said CEO Lawrence MacDougall. MacDougall said the food group, which is at the centre of a listeriosis crisis that has killed more than 200 people, would also like a food safety council to be set up. Listeria is a bacteria that can cause the bacterial disease listeriosis, which is an infection caused by eating food contaminated with the bacteria. Listeriosis can cause serious illness in pregnant women, newborns, adults with weakened immune systems and the elderly. A colony-forming unit is a term used to estimate the number of viable bacteria or fungal cells in a sample. “The next level would be zero or less than 10 cfus in 25 grams of product. That is the next step up. There are also suggestions internationally. Canada, Australia and New Zealand are probably the most stringent. They are suggesting that would be a number you would have to achieve at the end of the shelf life for that particular product, not at production. “You would have to certify the product would have less than [number to be determined] cfus at the end of its shelf life. We are waiting for the department of health. The particular standard that covers processed meat products in South Africa is South African National Standard 885, which is a voluntary industry guideline. The last update of that standard was published in September 2011. The standard includes requirements for a food factory or processing facility, requirements for ingredients and the product as well as methods for microbiological and chemical examination. “The working group had input into guidelines from the South African Meat Processors Association, the department of health, department of agriculture, forestry and fisheries, National Regulator for Compulsory Specifications and the Consumer Goods Council of South Africa, among others,” said Zain Khan, a Tiger Brands spokesperson. Foster Mohale, a Department of Health spokesperson, said the state was discussing what the best way forward was to ensure food safety. Currently three Tiger Brands plants that produce ready-to-eat meat, including polony, are closed following the listeriosis crisis. 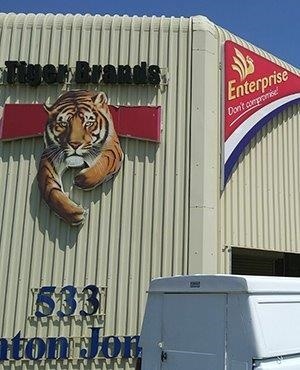 MacDougall said he hoped for a new food safety and hygiene standard to be in place by the time Tiger Brands is ready to reopen the three plants. MacDougall said there was no clear time-frame for the plants to reopen. “I’m waiting for the consumer research to come back to understand what impact there has been on the brand in the industry. We need to make sure we are done with all the rehabilitation, the training and the repairs and maintenance on our plants. “The consumer research will give us the most insightful data we can work from. Out of that we will determine when is the right time to open, once we know what the minimum local standards are. MacDougall said the envisaged food safety council would start investing in research and technology and ensure that food safety standards keep pace with developments around consumers and within the food safety industry. The food safety council could be a private sector initiative or a joint private sector and government entity, he said. Regarding the connection between Tiger Brands and the listerosis deaths, MacDougall said the group had notified that the company’s plant had listeria, “as many manufacturers have and as exists in the industry. We did find ST6 in our Polokwane plant, in one particular area and one product”. MacDougall, who joined the group two years ago, believes he is still the best man for the job despite the listerosis crisis that has consumed the group. MacDougall said ultimately his position as Tiger Brands CEO rested with Tiger Brands chairman Khotso Mokhele and the board.